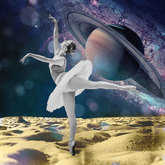 In Astrology, Saturn is known as the Cosmic Taskmaster, the teacher, the authority figure that wants us to roll up our sleeves and get stuff done. Aries is the sign of bold action, courageousness, and trailblazing. So, what happens when these two dynamos team up? Saturn in Aries could be a time when we find ourselves using a more thoughtful approach before deciding to proceed with something. 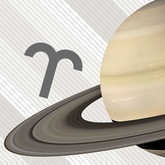 Saturn offers us the value of restrictions and limitations, while Aries provides the forward momentum. Ultimately, this energy wants us to look before we leap so that we use our energy toward things that really matter. Want to know if YOUR Saturn is in Aries? Find out with a FREE Essential Birth Report sample personalized birth report now. Saturn in Aries could be a time when we harness our inner power and achieve great things! When we use the best of what Saturn (discipline) and Aries (initiative) have to provide, we won't back down from going after we want. We'll work hard for as long as it takes, fueled by a sense of competition that makes us want to do bigger and better things. Saturn in Aries could be a time when we become self-reliant ... a little too self-reliant. The headstrong Aries energy combined with Saturn's determination could mean that we only want to do things our way. If we learn how to balance being independent with being cooperative, we'll find that we're more successful than when we ever could have been on our own. We may also struggle with being assertive during this transit. Stern Saturn can put a damper on the confidence that we'd normally feel as a result of Aries' energy, so sticking up for ourselves may not come so easily during this time. But this is Saturn's lesson for us, so we need to make sure we voice our desires! 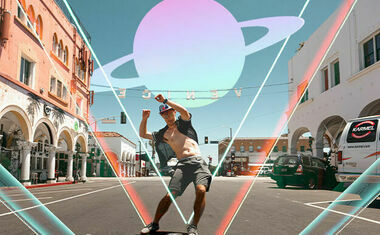 Saturn, the planet of discipline, responsibility, and structure, turns retrograde for roughly five months every year. 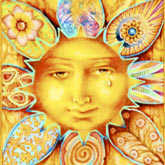 No matter what sign this planet backpedals through, it's a cosmic signal to get our acts together. Yes, we'll all feel tested, but that's just the universe's way of helping us get to where it knows we need to go. We'll achieve real progress if we work with this energy rather than letting it work against us. Aries is ruled by Mars, the planet of passion and aggression. When Saturn does its backward dance through this sign, we are being asked to consider whether or not we've been choosing our battles wisely. Are these conflicts worthwhile? Are we misplacing our anger? Are we too focused on "winning the fight" rather than finding a real solution? These are the questions Saturn Retrograde in Aries wants us to answer. 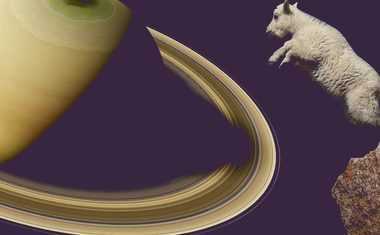 Saturn is known for being cautious, while Aries has a reputation as the impulsive sign of the zodiac. Aries energy usually compels someone to move forward without being afraid of the risks or consequences of their actions. However, with Saturn in the mix, you have a more careful and methodical approach to life. You prefer to weigh the pros and cons before making a move, avoiding the chaos that can come from making decisions without thinking them through. 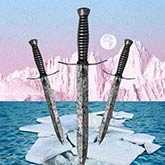 However, if you allow the restraint of Saturn to play too big of a role in your life, you may find that you become overly conservative, lacking the confidence to take any kind of risk. Don't be afraid of taking chances! This can often be where the biggest rewards lie. Aries is an incredibly self-sufficient sign, while Saturn appreciates perseverance. When you are able to focus your efforts on a single goal, you will become practically unstoppable! Having your Saturn in Aries means you have the potential to use the best traits of these planetary powerhouses to become a leader in your circle.